Whether you’re a family group, a solo traveller or a couple of friends, a caravan holiday has something for everyone. Brilliantly cost effective, caravanning opens up a world of possibilities where you can set your own rules and make lasting memories. Need more persuading? 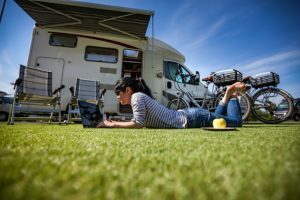 Check out our favourite reasons to caravan. A caravan really is like a home from home. There is no need to adjust to your surroundings or figure out where everything is in a new space as you can bring what you like with you. The comfort and ease of having your own things allows you to properly relax and make the most of your getaway. Our super pitches at Farditch Farm are a far cry from minimalist camping, with immaculate shower and toilet facilities, WiFi and much more all included in the price. But there is still something special about waking up surrounded by fields and trees, and being in a caravan, you’re that bit closer to it all. As our caravan park is located in the heart of the Peak District, there is loads to explore right on our doorstep, from walking and cycling trails to historic villages and stately homes. 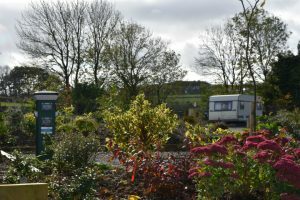 A popular reason to go on a caravan holiday is the opportunity to meet like minded and friendly individuals. Whether you’re looking to relax and just have a chat, or perhaps you’re keen to exchange walking routes, you’re sure to meet some friendly new faces. 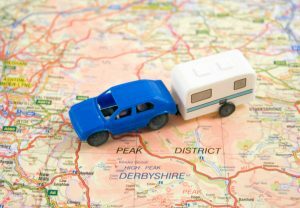 The real beauty of caravanning is the sense of freedom and the ability to travel from one place to the next. You can get away for a last minute weekend break, or plan an epic trip exploring different places along the way. As long as you have a road to travel on, you’re good to go!